These graveyards dot our county maps. They are often on mountainsides, presumably to save the good bottom-land for growing crops. Because we know what we owe our ancestors, the roads to them are maintained by the county. 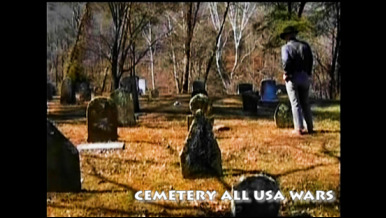 We don’t want to single out any individual family, but besides the Civil War graveyard at Sand Lick, we do want to mention one other graveyard that lies down Route Seven in Jeremiah. It’s a small cemetery, but it is the final resting place of a veteran of each of the wars the United States fought in from the Revolution through Vietnam, and may someday be the resting place of veterans of our subsequent wars as well. Flags fly there that represent all those eras.